How can I experience God? What are His angels like? What will I know, feel, and sense in Heaven? In these insightful pages, Mother Angelica answers these and countless more otherworldly questions not Mother Angelica the teacher, but Mother Angelica the mystic. These pages are the fruit of her intense, lifelong Eucharistic contemplation, and were written in the hundreds of hours she spent in adoration of our Lord in the Blessed Sacrament. Out of Her communion with Jesus have these mystical insights into the nature of God, the experience of Heaven, and the active work of His holy angels. Mother Angelica's meditations on God, His home, and His angels will open vistas of God's creation that few have ever experienced. 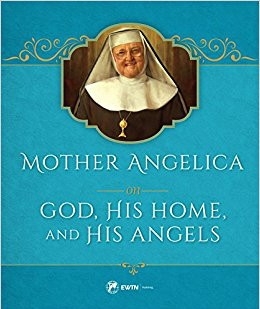 Mother Angelica on God, His Home, and His Angels is a unique experience, an irreplaceable vision, and an unparalleled lesson in what the human spirit is capable of when it is totally open to God.